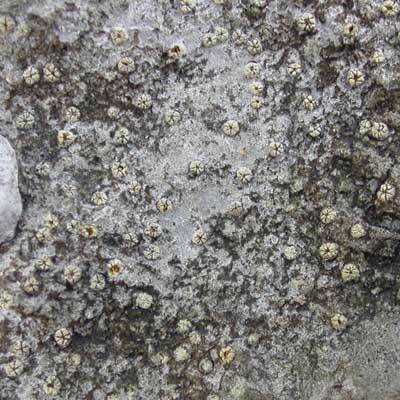 Shady sites within larger areas of hard, natural limestone are the places to look for this species. It will grow just as well on loose rock fragments a few centimetres long as on a larger outcrop where there may be more competition from other species, but the observer will need to be within 50cm of the substratum to see it. 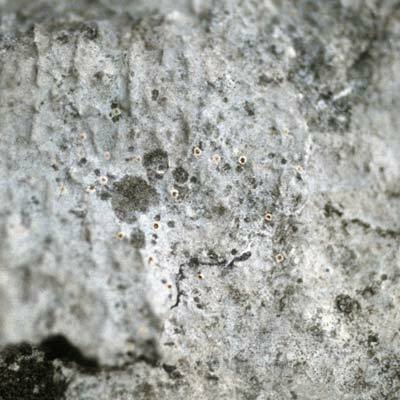 The first indication of the lichen is the scurfy or endolithic (within the rock surface) thallus, yellowy-white, peppered with blue-grey flecks. 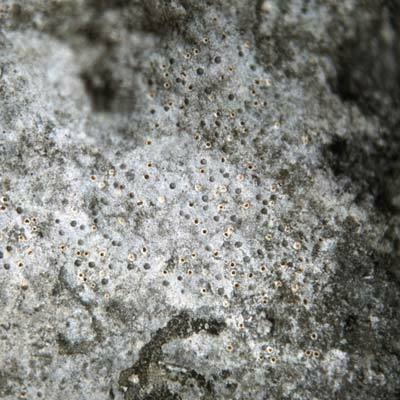 Scattered across the surface are numerous small, white, star-shaped spots with a pin-pricked orange interior. These are the discs (0.4-0.7mm diam.) which through a lens can be seen to be bursting through a white, split-topped, shell-like lid like an orange dividing into segments. Small pits are formed when the discs are exhausted. Mostly scattered in Ireland; rarer south of the Burren. On shaded limestone, limestone scree, talus and fragments. Simms, M. J., (2016). Petractis clausa (Hoffm.) Kremp.. [In] LichenIreland.